For most married couples, their first year of marriage is a learning experience. For some, it’s a time of blissfully discovering how to establish a strong marital foundation through loving words and acts of service. But for many it comes as a shock when they realize the effort required to love one another well. For me, after an amazing month-long honeymoon, I returned to work full-time so my weekends became consumed with laundry and housework. Maybe you can relate? Gone were the Saturdays where my beloved and I would relaxingly enjoy each other’s company, dreaming about our future together. While learning to adjust to married life, it seemed like making time for romance was now a memory of the past. And I feared it wouldn’t return. While I was in the house defrosting our freezer. I painstakingly chipped away ice that encased the bacon. As I worked, I could hear my husband, Steve, out in the garage laughing with his brother who had come over to help work on my car. I should’ve been grateful for the help, but I wasn’t; rather, I found myself jealous over how they were enjoying an afternoon together while I was stuck in the house thawing out that miserable freezer. Looking back, I can see how it wasn’t Steve who imposed the high standard for an orderly home––it was me. These days, as a pastor and marriage mentor, Steve advises wives that most husbands would say that they’d prefer to have a well rested wife, ready to enjoy his company in the bedroom, over a perfectly kept house. In our experience of mentoring couples, it’s astounding how wives who wear themselves out accomplishing “good” things are too worn out for romance. In my own story, I wanted to prove to Steve, myself and anyone who happened by that I was up to the task of working full-time, keeping a perfect home, and being an awesome wife! Sadly, I knew my career and my home were measuring up to my standard, but the whole awesome wife thing? Not so much. The harder I worked to prove my worth, the less valued I felt. I believed I wasn’t measuring up to Steve’s expectations. The more I tried, the more disillusioned I became. Before marriage I’d been Steve’s carefree, fun loving friend. But I was slowly watching myself transform into a taskmaster who measured his affection by how often he remembered to put down the toilet seat or put his clothes into the hamper. Am I the only one who’s made this mistake? One day I became quite concerned as I realized how my discontentment was turning to resentment toward Steve––who I deeply loved. Even though I had already seen marriages in my family of origin fall apart from resentment, I found myself falling for the same mistake of harboring wrong attitudes. Isn’t it strange how the type of person we don’t want to become is who we often begin to emulate? Proverbs 23:7 says, “As he thinks in his heart so is he.” You’d do well to understand how dwelling on the traits we don’t want to manifest often influences our character. For example, I know women who hate attributes about their mother. But because they dwell on those qualities and swear they’ll not be like her, they often reflect the very attitudes and actions they had hoped to avoid. A person with a negative propensity was someone I had sworn I’d never become. Yet there I was, dwelling not on Steve’s positive qualities, but rather on those little day-to-day things that didn’t measure up to my expectations. The poor guy. He really didn’t know what was wrong with the wife he had expected to continue being his joyful cheerleader. Since most of the thoughts rolling in my head weren’t spoken aloud, you can imagine his shock the day I freaked out when I walked into the kitchen to discover crumbs left on the kitchen counter. As I audibly gasped, and began ranting about how coming home from work to an unkept kitchen made me feel devalued and devastated, I could see in Steve’s face my explosion had taken him completely by surprise. Steve had no idea I’d been struggling––since I’d kept my thoughts bottled up, letting out only sighs and undermining comments when I felt overwhelmed or unappreciated. It revealed my heart not only to Steve, but also to myself. It broke my silence. In my attempt to be a “good” wife I had kept my struggles to myself which caused me to feel lonely and misunderstood by my husband. Proverbs 27:17 says that, “Iron sharpens iron, so a man sharpens the countenance of his friend.” This means when we live in close community with others we’ll rub against each other. As the two metals collide, they will be honed into sharpened instruments. However, another thing that happens when two metals rub against each other is that sparks will fly. Sparks! That’s what happened on the day I finally allowed myself to reveal to Steve the wrong attitudes of my heart. As I poured out to my husband all the ways I’d been struggling, the sparks of conflict gave way to a sharper, better, stronger marriage relationship. I was able to hear my own sinful heart being exposed, and I had a choice to make. I could either continue to blame Steve for my wrong attitudes or I could realize my own sin, repent and ask God to help me turn from my sinful bent––I chose the latter. Oh what times of refreshing come when God reveals to us the thoughts and intents of our own hearts so He can refine us into the image of His Son. Realizing my own sinful bent was the first step in becoming the wife I had hoped to be. You’d be surprised how many marriages unravel over this type of thing. 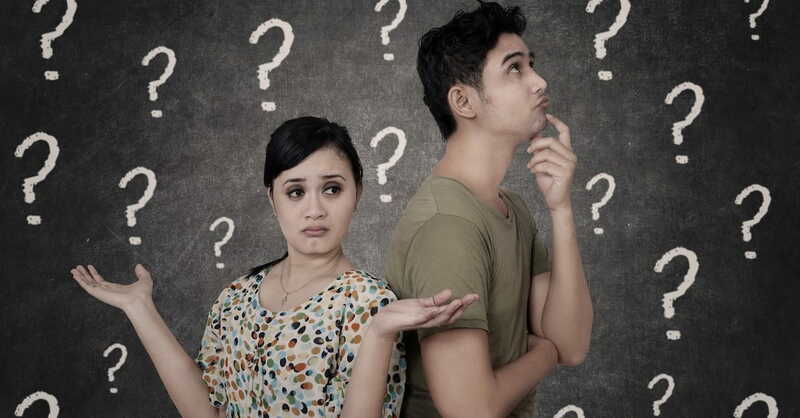 Have you been storing up negative thoughts about your spouse? Do you have a sort of “secret list” in your mind of how they’ve disappointed you? Whether you tell your spouse or not, they know they’ve not measured up to your expectations. They may not be able to put their finger on why, but they’ll know there’s a distance between the two of you. If you don’t have a rational conversation about it (which might need to involve a third party mentor, pastor or counselor), they likely won’t have any idea how to fix it. When your husband asks, “What’s wrong?” And you respond, “Nothing”––when in reality there is a whole lot of something going on in your mind––you only serve to create a distance between the two of you. When you think, If he loved me, he’d know what’s wrong, you’re believing a lie. 1 Peter 3:7 advises husbands to dwell with their wives with understanding. But it’s up to you to coach your husband on how to make you feel loved. Expecting him to figure you out (when you likely don’t even know who you are every 28 days) is an unfair expectation. While it’s hard to humble yourself to kindly share with your spouse the things with which you are struggling, know that God promises to give grace to the humble. On the contrary, if you continue to pridefully blame your spouse for your own discontentment, the Lord says He actively resists the proud (see: James 4:6, Jeremiah 50:32, Proverbs 15:25). I needed help—and so do you. In my own story, my propensity to think negatively toward Steve scared me. I knew I needed help to break free of those bad habits. Wanting to become the wife I longed to be––but having no idea how to make that happen––I looked to couples in our church whose marriages I wanted to emulate. Steve and I worked with the youth in our church, so I had opportunities to meet their parents and observe how they interacted as husband and wife. The couples who still held hands and enjoyed each other’s company, after years of marriage and childrearing, were the ones I wanted to get to know. I knew these couples held the secret I needed to discover how to build a marriage with no regrets. Titus 2 instructs the older women to teach the younger how to love their husbands, so I decided this is where I should begin my quest to becoming the wife I longed to be. Learning from them gave me hope that God will transform anyone willing to allow Him to work in their hearts and minds. I began to pray as the psalmist: “Search me Oh God and know my heart, try me and know my anxieties and see if there is any wicked way in me and lead me in the way everlasting” (Psalm 139:23-24). As I studied scripture with my godly mentors and listened to their wise counsel, God showed me areas He wanted to transform in my heart and mind. Know this: when you devote yourself to studying God’s Word, you’ll never see yourself more clearly than through the lens of scripture. While God revealed to me the thoughts and intents of my heart and I adjusted to walk in obedience to His truth, I was no longer a victim of my wrong thinking. And I’m confident the same will be true for you. Whether you’re in your first years of marriage or have been married a long time, please know that difficult seasons will come, and when they do, you don’t need to panic. Rather, let those times when your iron is sharpening against one another be the catalyst that drives you to your knees to ask God to grow you to be more like Jesus through the experience. Steve and I have been happily married for 37 years. I am forever grateful to the marriage mentors God put in my life so many years ago. These days we speak on radio and at events across the country where we are regularly approached by couples who admit they have no godly mentors in their lives. So, we decided to write a book entitled The Marriage Mentor. Every page will feel like a candid conversation with friends who care deeply about helping you enjoy the marriage you’ve always hoped for. And because we so want to provide you with help, you’ll also find free videos on my website where Steve and I candidly share insights from each chapter of the book. For more practical marriage insights, listen to the Stoppe’s interview with Focus on the Family.